The Bestest Recipes Online: Quick and Easy Stay at Home ~ “Take Out” ~Chinese Vegetable Dish! Quick and Easy Stay at Home ~ “Take Out” ~Chinese Vegetable Dish! Prepare the rice as directed with a teaspoon of the Vegeta soup mix added to the water. Heat a large frying pan or wok with a drizzle of vegetable oil and a tsp. of sesame oil. Place the garlic and ginger to sauté for a minute. Add the rest of the vegetables and the cornstarch. Sauté until the onions are tender. Combine all of the ingredients for the sauce and mix well until the peanut butter is smooth. Pour over the veggies and toss with the heat on low for a minute or two. 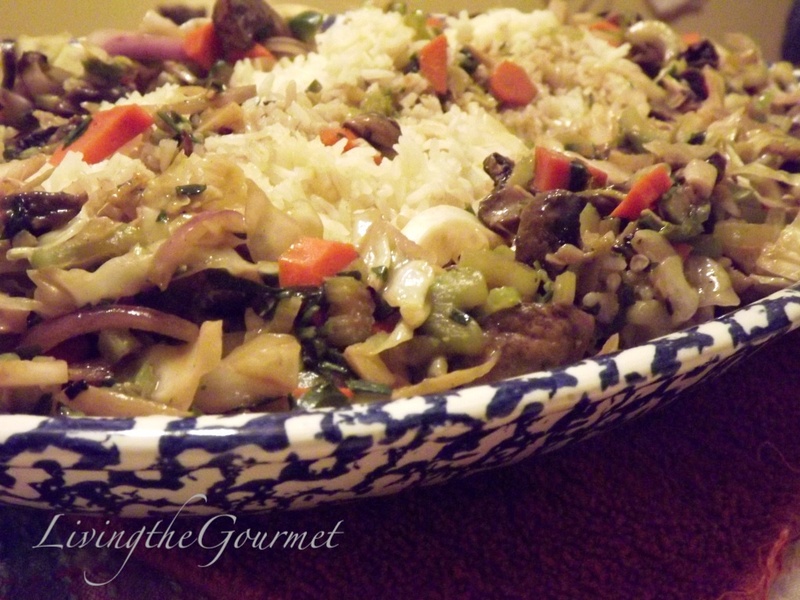 Plate the rice and top with the veggies and toss. This dish is so good and you made it yourself!